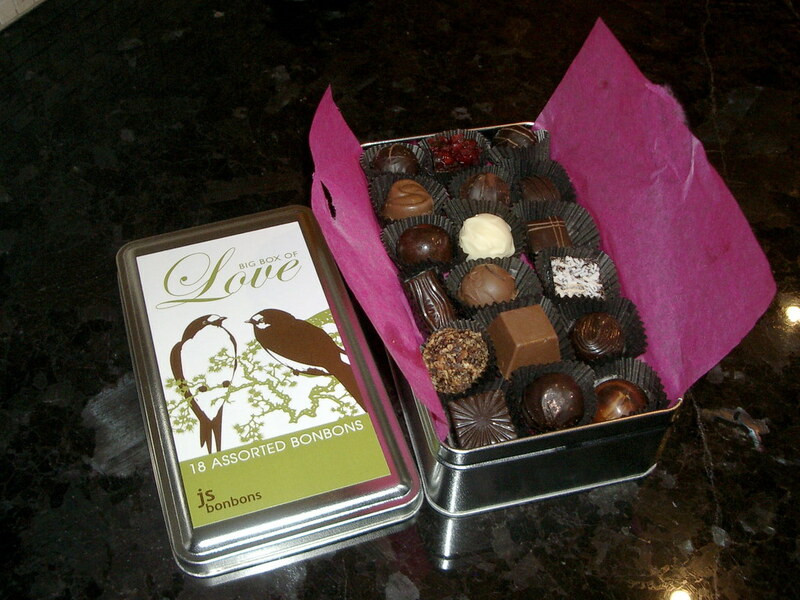 These are our favourite chocolates, from js bonbons. Last year we both bought a box for each other as a surprise. It takes us a while to eat chocolate (this box lasted a month), so we agreed in advance this year to just get the one. 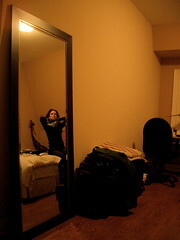 We carried it back home walking along the street, just the two of us and our brand new $99 mirror from Winners. $99! That's Heather trying out a new scarf, with Mr Giraffe (my souvenir from Kenya) overlooking her shoulder. I'm in my new suit, courtesy of Craig and his contact at the men's store with the 70% off suit sale. Anyways, it's getting a bit late so I should get ready for bed.